During a 1986 protest in Santiago, Chile against the human rights abuses of Augusto Pinochet’s regime, teenagers setting up barricades were arrested by a military patrol. What happened next to Rodrigo Rojas DeNegri (seen right) and Carmen Quintana is a matter of dispute, but in the end, Rojas was dead and Quintana severely burned. An official Chilean report claimed that Rojas, an American legal resident, and Quintana, an engineering student at the University of Santiago, were carrying Molotov cocktails which broke, setting them on fire. Quintana maintains that both were brutally beaten by the army patrol, soaked with gasoline, set on fire and dumped in a ditch. Rojas died of his burns and injuries. In 2015, seven Chilean army officers were charged in connection with the killing of the 19-year old Rojas and attempted homicide of the 18-year old Quintana. Chile was in a state of political upheaval during this era. Mass protests demanding democratic reforms were commonplace and many erupted into violence. The U.S.-Chile relationship was strained. In Washington, some supported the containment of communism at any cost while others demanded that the U.S. challenge human rights abuses in countries such as Chile which benefited from American support. 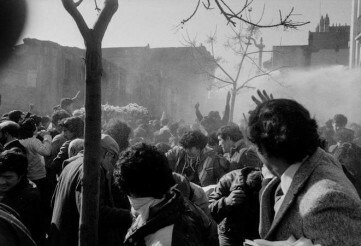 The incident on July 2, 1986 during which the teenagers were beaten and burned exacerbated these tensions. Serving as the Deputy Chief of Mission in the U.S. Embassy in Santiago at the time, George F. Jones recalls the time he spent working under Ambassador Harry Barnes Jr. and the controversies that surrounded this moment in history. Barnes too recounts his role in this crisis, and Barnes’ wife Elizabeth captured her own experiences in a memoir. Charles Stuart Kennedy interviewed Jones in August 1996 and Barnes in April 2001. Please follow the links to learn more about human rights, South America, or how Harry Barnes reached out to the democratic opposition in Chile. JONES: I think it was on Human Rights Day, December 10 , there was a ceremony in the cathedral. The Church had established a body called the Vicariate of Solidarity, which meant solidarity with those who were imprisoned and exiled and oppressed, and the Vicariate had organized the ceremony. There was a procession leaving the church; people left the church carrying candles. [Ambassador] Harry [Barnes, seen left] went and left the church carrying a candle. Outrage! Fury! Incomprehension! that the American Ambassador would associate himself with these communists in the Catholic Church. There were a series of things like that. Occasions when we visited people in prison, usually people who had some connection with the United States in one way or another. Neither the Ambassador nor I went, but we sent an Embassy officer to visit them, and this was noticed and reported. Of course the most notorious thing which brought Barnes — grief is too strong a word, but it certainly brought him enormous controversy, was in July of ’86. There were some demonstrations in the streets of Santiago. Two Chilean teenagers, a boy and a girl, were intercepted by a Chilean army patrol. The patrol obviously suspected them of participating in the demonstrations. The girl may in fact have participated. But it’s clear that the boy (Rojas is seen at right) was simply there as a photographer. He was carrying a camera; he was an amateur photographer. At any rate, this patrol decided they had caught a couple of these communists who were causing all this disturbance, and they poured gasoline on them and set fire to them. The girl was badly burned; the boy was killed. 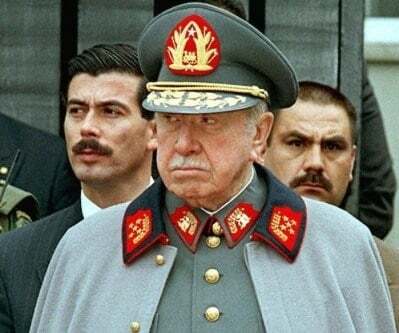 Unfortunately for the Chilean army, the boy was a legal permanent resident of the United States and had been attending a high school in Maryland, I think, with the son of Charlie Hill, who was George Shultz’s personal assistant. 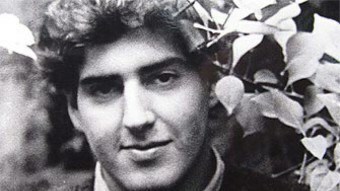 This was the Rodrigo Rojas case. The army took them and dumped them into a ditch in some remote spot on the outskirts of town. The girl eventually managed to flag down a vehicle and got taken to a hospital. The Ambassador went to the boy’s funeral. I almost went myself. As usual, Pinochet was determined to manipulate the occasion. A photographer got a picture of Harry in a room in which there was a big floral wreath from the Communist Party. The right wing’s version of this was that the Ambassador clearly had declared his allegiance to the extreme left of Chile by going to this radical’s funeral. Both of these young people had leftist connections. That’s why they had been watching the street demonstration, which had been organized by the extreme and near-extreme left. The moderate parties had largely given up on street demonstrations by this point because they had not led to anything and had not produced anything. The funeral led to Senator [Jesse] Helms’ (seen left) visit to Chile shortly thereafter, a visit which he made totally unannounced. We learned from the Chilean Government that he was there; even the State Department didn’t know. Harry sent a note over to his hotel and welcomed him to Chile and said he was at his service and asked if there was anything he could do. No response for several days. Finally on Saturday morning, he received a phone call from one of the Senator’s aides saying the Senator would like him to come to the hotel and meet with him. So he went off to see him. Harry is one of the more unflappable people I know. This was one of the two or three occasions when I can remember his being visibly angry and visibly upset when he came back from that meeting. He was clearly treated in the most contemptuous manner. Helms and his aides had made up their minds that this was a left wing ambassador who had allied himself with left wing causes and was trying to undermine this noble government which was doing so much good for Chile. It must have been a very unpleasant interview. But there was a still more interesting follow on to this whole saga. A few days later, Bob Gelbard, the Deputy Assistant Secretary for Inter-American Affairs, came down to Chile on a visit, and Harry took him over to call on the director of Chilean intelligence, who was an army general, and one of the very few political generals, the only one who would ever dare to discuss politics with us. He and the station chief had a good relationship, did a lot of sparring, but you could at least talk to this guy. So many of the Army generals you couldn’t even get in to see, and when you got in to see them it was usually to discuss some military visit, some exchange program, and just that and nothing more. I’m sure they kept stone faces; Harry’s poker face was very good. But wild alarm bells began ringing because we did in fact have a copy of a Chilean Army report which had been obtained through intelligence channels. It is one of the very few times when I’ve seen a station chief absolutely pale with panic when he got back to the embassy because one of his very good sources inside Chilean intelligence for all he knew was about to be blown sky high. He could be taken away and tortured, shot, anything. The Ambassador of course got on the secure phone to Washington immediately. It turned out that the CIA had in fact briefed a staffer of Senator Helms about the existence of this report. 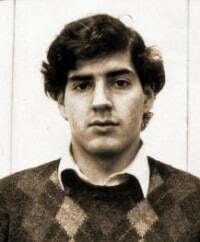 Given his well-known publicly stated interest about these events in Chile, the agency thought he should be aware of the existence of this report in which the Chileans themselves had concluded that this lieutenant who commanded this patrol had on his own decided to terminate these teenagers with extreme prejudice. The staffer had of course briefed Helms. Who exactly it was who called Chile probably will never be known, because I suspect other staffers were told. Although General Gordon was very specific when he said Helms, I suspect it was one of his staffers who called. Helms’ office of course denied that anyone had said anything to the Chileans, and this was a gross calumny and atrocious lie intended to besmirch his reputation. Helms believed that Pinochet had done a service to mankind in getting rid of Allende and his Communist regime. 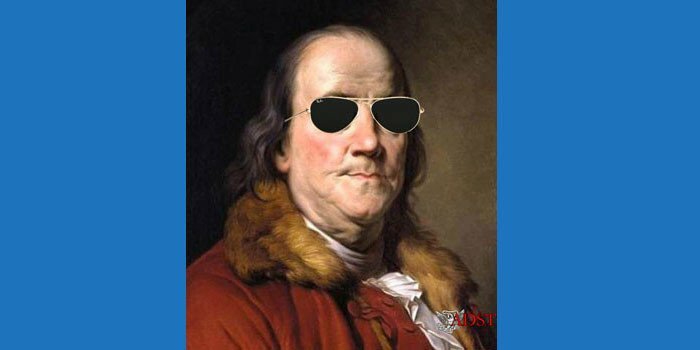 Everything he heard about what he had done with the economic system was pro-free enterprise; he privatized things. Everything that he knew about Pinochet was absolutely A+. For the minor defect of not holding elections, he was being pilloried by the US Government. BARNES: There were occasions of, what I would call, egregious incidents of human rights violations. Roughly 1986, I think I have the year right, there were some demonstrations. They did not take place that often in Chile when I first got there. Street demonstrations are what I am talking about. Somewhat more later on though, as the system began to open up a little bit, you got less in the way of demonstrations. In any event, on this particular day there were demonstrations. The police used tear gas but toward the end of the day we got word that two young people who were demonstrators had been doused in gasoline and set afire. We were asked for help and we tried to find a hospital which would take the young people. The young man died of his injuries; the young woman survived and acquired a lot of plastic surgery, which was done in Canada. We were in touch with the mother of the young man and also in touch with the young woman who survived. A couple of days later there was a funeral mass at the cathedral for the young man, and my wife and I went to that. The police charged the gathering as it spilled out of the building out into the square in front of the church. So we got a little bit of the feeling of what tear gas is like. The fact that the U.S. ambassador and his wife and a couple of other diplomats showed up at the service at least outside the cathedral attracted a certain amount of attention. 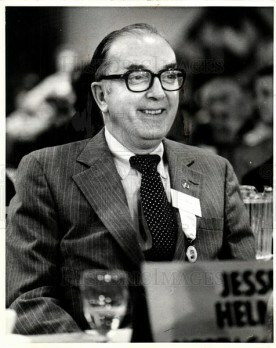 Among the people who heard about it was then the senior U.S. senator from the North Carolina, Jessie Helms. Within four or five days he decided he would come to Chile and investigate for himself why it was that the, as he put it, “the American flag had been displayed at the funeral service for a terrorist.” One of the worse interviews I ever had was with Jessie Helms and his staff. Essentially I got a grilling from him and his staff and I know my responses did not satisfy him. But what it did was to produce even more than what I already had in the way of support in the Congress, and the Administration was very good about supporting me. [From Helms’ perspective,] Pinochet was a friend. He was anti-communist. He had overthrown a communist regime, the Allende regime. He was a good guy; somebody that needed to be supported. 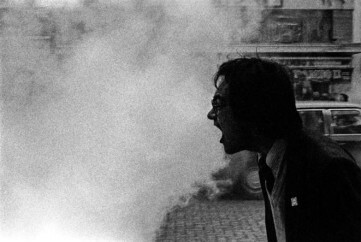 BARNES: It was 1986, and Rodrigo Rojas DeNegri (seen right) was a photographer, an émigré from the Chilean coup who was now living in Washington, D.C. There was continuing political unrest in Chile, and a protest had been organized for the month of July. It was early morning in Chile on the second of July when he joined the protest – a group of young people setting up a barricade of old tires in one of the neighborhoods of Santiago. He’d also brought his camera and was taking pictures, when suddenly a Chevrolet truck appeared, spilling out uniformed men with blackened faces. All except Rojas and a young Chilean woman named Carmen Gloria Quintana managed their escape. But Carmen stumbled and when Rojas returned to help her, the soldiers seized the young pair and began beating them. And then, using a flammable liquid, the two were doused and set ablaze. In flames and unconscious, wrapped in blankets, they were loaded into the truck and driven away. Workers wandering home that afternoon found them lying in a ditch. Horrified and frightened, they called the police. And only then, late in the day, were Carmen and Rodrigo taken to the nearest hospital. Since Rodrigo Rojas was a resident American, our embassy was informed. When we learned of his critical condition, I remember my husband’s frantic efforts to get him transferred to the burn pavilion at the Hospital de Trabajadores. Those demands were obstructed by the doctors at the hospital where Rodrigo had been taken. The embassy cabled Washington that the ambassador and his wife would be attending the funeral of Rodrigo Rojas DeNegri on the 9th of July. Harry and I were not the only foreigners at the service. 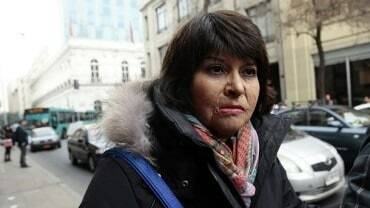 Ambassadors and representatives from France, Spain, Belgium and Italy had come to the church to pay their respects and to demonstrate their repugnance for this crime. We remained after the service, waiting just inside the building where we could look out at the packed streets. There was little room for movement out there, only a silent, waiting crowd. I remember thinking that if you lit a match, that tensely constrained body would explode. A Chilean friend who was with us at the service had gone out to join his people and was a witness to what followed. Breaking an understanding with the church, an officer and a policeman forced their way into the crowd. Remarkably, the only disturbance was that the officer lost his hat, but our friend noticed that the police then withdrew. He presumed this was a signal, because almost immediately two trucks began to inch their way into the crowd, one vehicle decked with a water cannon. When the cannon fired, a blast of water flattened wherever it aimed, and those caught in the confines of that constricted area had nowhere to go. Then came the tear gas. You read about it – it doesn’t aim to kill, only to disperse. But this crowd was trapped within those narrow streets as we were trapped inside our little room. I remember the burning misery and that it lasted. I have absolutely no idea how we got home. We learned later that when the hearse reached the plaza, followed by that massive crowd, the route to the cemetery was blocked by the police and again by tear gas. He steamed into town. Helms, the second-ranking member of the Senate Foreign Relations Committee, spoke with the voice of God. Known for his righteous and vocal adherence to certain issues – he was opposed to civil rights, to gay rights, to foreign aid, to modern art – that righteous wrath at this moment in time was directed at my husband. I entertained myself with a vision of Jesse Helms, his fury mounting, face purple as my husband refused to be cowed, his responses calm, his denials polite if curt. As for the Senator’s public remarks, Harry was angry and he let the Senator know it. For someone in Helms’ position to assault the U.S. Embassy and the ambassador while in a foreign country was a serious breach of ethics and protocol. And, Harry went on, to condone this murder, as his words and actions would imply, was to demonstrate an incredible insensitivity.